Fire breather – choose 1 of 3 torches and watch as the ringmaster blows out a plume of flame giving you a straight up cash prize. Simple yet oh so lucrative. Elephant spins – win a random amount of spins on a second set of reels with a 2x multiplier. Every time you stop in an elephant upgrade this increases your multiplier giving you a chance to earn some stuff some big prizes into your trunk. At the end of your spins you’re given a pick a win game that could allow you to re-trigger your spins. Jester spins – pick a box to determine your number of jester spins. On every spin a jack in the box appear in a random reel position and fires a number of random wilds onto the grid helping you make those all-important winning combinations. Bear tight-rope – move the bear back and forward over the tightrope collecting cash prizes as you go. When the bear is overly weighed down the rope breaks and you’re awarded all the cash prizes thus far. Strongman – pick one of three balls for the strongman to lift. The bigger the ball, the higher the prizes. Keep lifting those balls and accumulating those prizes until the strongman’s strength gives up. 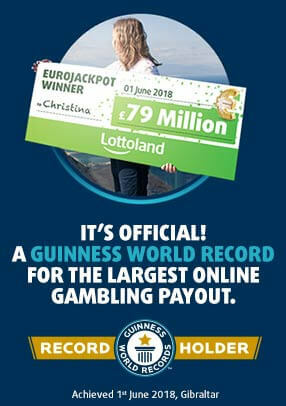 Jumbo Jackpot – for a life-changing win!